Alex is a second degree Gracie black belt. He got started in Jiu Jitsu fourteen years ago when he signed up his sons at the Gracie academy in Dublin. After watching his sons train for one year, Alex finally decided to step on the mats and give Jiu Jitsu a try. After being dominated by someone weighing a hundred pounds less than he, Alex knew he had to learn the art of Jiu Jitsu. Over the next eleven years Alex would go from a 260 pound white belt to a 200 pound black belt, eventually earning the head instructor position at the very same academy he stepped foot in over a decade ago. 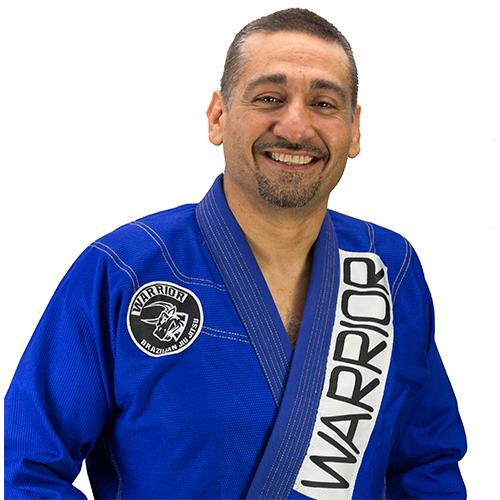 Jiu Jitsu made such a positive impact on Alex’s life, for both his health and his family, that it became his goal to share his love of Jiu Jitsu with as many people as possible. Anyone who has experienced Alex’s teaching style can attest he is one of the best in the Bay Area.